NTS is working as a Not-for-Profit Company Limited by Guarantee – not having a share capital under Section 42 of the Companies Ordinance 1984 regulated by SECP. The promoter institution is COMSATS Institute of Information Technology (CIIT), which names the individuals from NTS. It is a self-managing and self-ruling association which works under the headings of the BODs of NTS, who are chosen by CIIT. 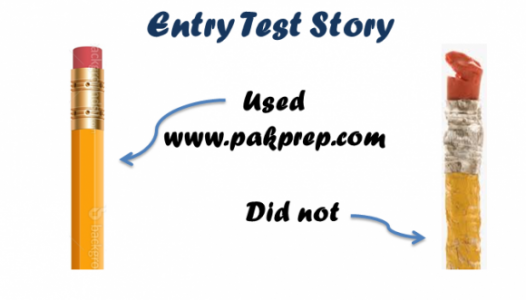 Pakprep.com gives the total coursework to NTS NAT test preparation. We have more than 15000+ MCQ’s with answers and explanation. To begin your preparation Click here. This entry was posted in NTS, NTS NAT and tagged answers key for NTS, Best way to prepare for NTS, Download NTS Past Papers, Electrical Engineering admission requirements, HEC Scholarship for Undergraduate students, How to Download NTS form, How to prepare for NTS, Important NTS MCQs, NAT, NAT English MCQs, NAT for Pre-Engineering, NAT IE Past Papers, NAT IE Preparation, NAT IM Past Papers, NAT IM Preparation, NAT Pakistan, NAT Past Papers, NAT Solved MCQs, NAT_IE test pattern, NED Maths MCQ's with explanation, NED Physics MCQ's with explanation, NTS, NTS affiliated Universities, NTS answer key, NTS answer key 2017, NTS Biology, NTS Biology MCQ's, NTS Chemistry, NTS Chemistry MCQ's, NTS Chemistry MCQ's Preparation, NTS Computer Science, NTS Engineering TEST, NTS English, NTS English MCQ's, NTS English MCQ's Preparation, NTS Entrance Test, NTS Entry Test, nts fee, NTS ICS, NTS IE, NTS IM, NTS Intelligence MCQ's, NTS Intelligence MCQ's Preparation, NTS Maths MCQ's Preparation, NTS MCQs, NTS MCQs solved, NTS Medical, NTS medical test pattern, NTS NAT Preparation, NTS NAT-IE, NTS NAT-IM, NTS old papers, NTS Pakistan, NTS preparation, NTS roll number slip for NUMS, NTS Solved paper, nts solved papers, NTS Test Pattern, online preparation for NTS test, Physics MCQs with explanation, sindh NTS, What is NTS, What is NTS Entry Test, X NTS on January 17, 2018 by Pakprep.com Admin. Bahria University is a Federally Chartered Public Sector University. The main campus of Bahria University is at Islamabad and campuses are at Islamabad, Karachi and Lahore. Bahria University was established by the Pakistan Navy in 2000, and since then it has steadily grown into one of the leading higher education institutions in Pakistan. Bahria is an extensive college having multi disciplinary programs that incorporates Health Sciences, Engineering Sciences, Computer Sciences, Management Sciences, Social Sciences, Law, Earth and Environmental Sciences, Psychology and Maritime Studies. Last date for apply is 19th January 2018 and the computer based test will be conducted on 21st January 2018. 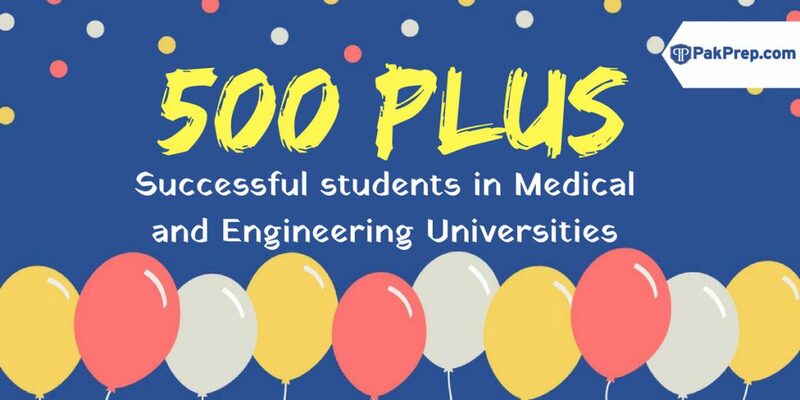 We have more than 15000+ MCQ’s with answers and explanation. To begin your preparation Click here. Join Bahria University for an exciting career in Petroleum, Mining, Space Science, Meteorology, Seismology, Ground Water Research and Geo technical Industries. Enroll for an exciting and enriching career in Education, Journalism, Advertising, Business, Public and Social Services, Copyrighting and Technical Writing. This entry was posted in NTS, NTS NAT and tagged answers key for NTS, Bahria Admissions Karachi campus, Bahria Karachi Campus, Bahria University MCQs, Best way to prepare for NTS, Download NTS Past Papers, NTS, NTS answer key, NTS answer keys, NTS answer keys 2017, NTS Biology, NTS Biology MCQ's, NTS Chemistry, NTS Chemistry MCQ's, NTS Chemistry MCQ's Preparation, NTS Computer Science, NTS English, NTS English MCQ's Preparation, NTS Intelligence MCQ's, NTS NAT Preparation, NTS Test Pattern, What is NTS, X NTS on January 10, 2018 by Pakprep.com Admin. NTS is and independent testing organization in Pakistan. Some engineering universities in Pakistan gave admission on the bases of aptitude test known as NAT test taken by the National Test Service (NTS). This test is known as National Aptitude Test (NAT). NAT announced registration and test dates to get admission in its affiliated Universities. Last date to apply for registration is 25th October, 2017 and test will held on 12th November, 2017. NAT gives more importance to the general analytical and quantitative sections. Pakprep.com provides complete coursework for the English and subject tests section of NAT test. For preparation of your NAT test Click here. How to Apply for NTS NAT Test. This entry was posted in NTS, NTS NAT and tagged answers key for NTS, Best way to prepare for NTS, Download NTS Past Papers, Electrical Engineering admission requirements, HEC Scholarship for Undergraduate students, How to Download NTS form, Important NTS MCQs, NAT English MCQs, NAT for computer Science, NAT for Pre-Engineering, NAT for Pre-Medical, NAT IE for IST Admission, NAT IE Past Papers, NAT IE Preparation, NAT IM Past Papers, NAT-IM test pattern, NTS, NTS Biology, NTS Biology MCQ's, NTS Chemistry, NTS Chemistry MCQ's, NTS Engineering, NTS English, NTS English MCQ's Preparation, NTS Entry Test, NTS ICS, NTS IE, NTS IM, NTS Intelligence MCQ's, NTS Maths MCQ's Preparation, NTS NAT Preparation, NTS NAT-IM, NTS old papers, NTS ols paper, NTS Pakistan, NTS Past Papers, NTS Physics, NTS Physics MCQ's Preparation, NTS preparation, NTS Preparation Online, NTS Quantatative MCQ's Preparation, online preparation for NTS test, What is NTS on October 19, 2017 by Pakprep.com Admin.